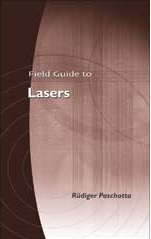 The RP Photonics Buyer's Guide contains 5 suppliers for laser resonators. A laser requires a laser resonator (or laser cavity), in which the laser radiation can circulate and pass a gain medium which compensates the optical losses. Exceptions are only exotic cases where a medium with very high gain is used, so that amplified spontaneous emission extracts significant power in a single pass through the gain medium. The laser radiation is automatically generated at one or several frequencies corresponding to resonances (resonator modes), possibly with small deviations caused by “gain pulling”. No special measures are required for operating on the resonance; this is different for external resonators, e.g. resonant enhancement cavities. Figure 1: Two simple solid-state laser resonators with a laser crystal as gain medium. Output beams are generated where resonator mirrors are partially transmissive. The ring laser (right) can exhibit laser action in two directions, thus generate two output beams; unidirectional operation could be enforced, e.g. with an additional intracavity optical isolator. Solid-state bulk lasers are usually built with several dielectric mirrors (laser mirrors), which may be plain or curved. Figure 1 shows a linear resonator and a ring resonator built in that way, and containing a laser crystal as the gain medium. In some cases, a dielectric mirror coating is placed on the gain medium itself; see the article on monolithic solid-state lasers. One of the mirrors, usually an end mirror, is the partially transmissive output coupler. Figure 2: A simple laser resonator consists only of two mirrors around a diode-pumped laser head. Source: Cutting Edge Optronics. The design of the laser resonator (comprising optical elements, angles of incidence, and distances between the components) determines the beam radius of the fundamental mode at all locations along the beam, together with other important properties. For maximum beam quality (→ diffraction-limited output), the beam radius in the gain medium has to match approximately the radius of the pumped region. For smaller beam radii, operation with multiple spatial modes is obtained, leading to a non-ideal beam quality; however, such multimode lasers have other advantages such as much wider stability zones and a lower sensitivity to misalignment. for a certain resonator length, determining the pulse repetition rate in a mode-locked laser or the pulse duration of a Q-switched laser. Particularly for high-power lasers with good beam quality, thermal lensing in the gain medium is very important. The resonator design should be made so that changes of the thermal lens do not affect too much the mode sizes. Also, it should have a low sensitivity to thermal aberrations  and misalignment . The importance of these factors should not be underestimated; there are cases where two resonators even with equal mode sizes in the gain medium lead to very different laser performance and are radically different in terms of alignment. Although it is normally not that difficult to evaluate the properties of a given laser resonator, it can be challenging to find a resonator design which satisfies multiple criteria such as those listed above. Numerical optimization, using special resonator design software, can be the only way to find good solutions, particularly for some mode-locked lasers. Also, a solid understanding of resonator properties can help considerably when trying to find resonator configurations with special combinations of properties, such as large mode areas and short lengths. For advanced design issues, a great deal of experience is at least as important as a versatile design software. Some high-power lasers (for example with slab designs) are operated with unstable resonators, allowing a reasonable (but typically not diffraction-limited) beam quality to be achieved despite the presence of strong thermal effects in the gain medium. Due to the high diffraction losses, such laser cavities require relatively high gain. There are various types of monolithic solid-state lasers which have the whole beam path within the laser crystal. Beam reflections are then typically realized either with dielectric coatings on crystal surfaces, or with total internal reflection. Although various properties of laser resonators can be optimized with a suitable resonator design, there are limitations, particularly for certain combinations of properties. For example, one can only to a limited extent combine the features of a short resonator length, large mode areas and low alignment sensitivity. Even optimized resonator designs can not fully meet desirable specifications for certain lasers, particularly high-power lasers. Note also that laser resonators can not be considered as power-scalable in a useful sense, as discussed in the Spotlight article of 2009-09-19. This means that certain design challenges are more severe for lasers with higher output powers. For laser resonators with simple designs, e.g. with just two mirrors around some gain medium, the initial alignment is often quite easy to find. Once the laser works, the alignment can be further optimized, simply maximizing the output power. For more complicated resonators, it can be quite challenging to find some approximate initial alignment where the laser starts operating. In such cases, one may require some visible alignment laser, which should preferably have an appropriate wavelength, such that the laser mirrors have a high enough reflectivity for that beam. Particularly laser resonators with large mode sizes can have a high alignment sensitivity. Even small tilts of laser mirrors, for example, may move the resonator mode such that the output power drops and possibly the beam quality is degraded.